Dividends can be a boon or bane, depending on how you use it. If you blindly go for dividends, you open up gates for agents lurking around to mis-sell. I recently came across two investors who could not stop boasting about how their investment in a mutual fund was paying them rich dividends, that too tax-free. Both have invested in the same fund, coincidentally a balanced fund (read, hybrid equity). One was getting a Rs 10,000 per month dividend on an investment of Rs 10 lakh, the other Rs 20,000 per month on an investment of Rs. 20 lakh. Are they retired and need an income to meet their expenses? The answer is no. In fact, both are middle-aged corporate executives with at least 10 to 15 years of working life ahead of them. Are they funding any short-term need with this dividend money? The answer is again no. They have healthy cash flows from their salaries and they don’t need that extra cash from dividends. I scratch my head again. What are they doing with the dividends then? It turns out that they are just happy with the fact that the investment is paying them a dividend. It is the proof that they made a good investment choice. Finally, who doesn’t like some extra cash coming in? But is that a sensible thing to do? Unfortunately, no. The 2 investors are doing a big disservice to themselves and their portfolio by receiving dividends from their mutual funds. Here’s why. First, the technical reason. 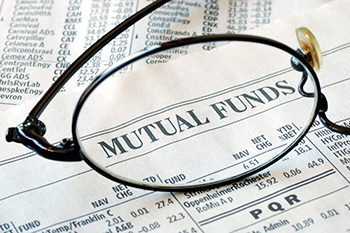 Mutual fund is an investment pool. It takes your money as also from several others and then invests it in various stocks, bonds, etc. The fund itself receives dividends, bonus, from these investments. At various points, it also sells some investments to book profits. In this process of managing your money, it compounds it over a period of time. Every time it pays out a dividend, the mutual fund reduces its own investible funds. Either it uses the cash available with it or it sells some of the investments to generate that cash and pay the dividend to you. Second, a dividend is a withdrawal from your own investment. As soon as the money arrives in the bank, it is out of work. It is highly likely that you will spend it. The same money, if it had stayed invested, could benefit from the power of compounding leading to a growth in the final investment corpus. As an investor, while you may feel you have gained (dividend), you are actually at the losing end. So, when do you opt for a dividend? Simply put, if you don’t have a use for the money, don’t take it. Let it grow with the fund. Having said that, there are genuine cases where a dividend may make sense. One is the income case where you need income to meet your expenses and dividends can be a good way to achieve the same. The next is tax. In case of debt funds, dividends can play a different role. They can help you save tax. A marginal one, yet it can be significant when large investment amounts are involved. In case of debt funds, if you sell them in less than 3 years, the gains are treated as short term and taxed at your marginal tax bracket rate. Just like a bank fixed deposit interest. So if you are in the highest tax bracket of 30.9% (including all surcharges), that’s what you pay as tax. Your bank FD is also taxed at the same rate. However, if you choose the dividend option when investing in debt funds, the dividends are taxed @28.84%. So you are essentially saving approx. 2% tax with the dividend option. In fact, you can choose the dividend reinvest option to immediately put the money back to work. In essence, a debt funds with a dividend option becomes a tax saving tool. This is a good strategy for HNIs who invest large sums of money for short-term purposes. Remember, there is no tax arbitrage as such in equity funds. Equity funds attract zero long-term capital gains tax after 1 year of holding. Conclusion: If you blindly go for dividends, you open up gates for agents lurking around to mis-sell as happened to the 2 investors. They were sold an equity fund that pays monthly dividends that they don’t need. You also need to question if a dividend rate like that is sustainable. Tread carefully. Dividends can be a boon or bane, depending on how you use it. The author, Vipin Khandelwal is a SEBI Registered Investment Adviser and Founder, Unovest.